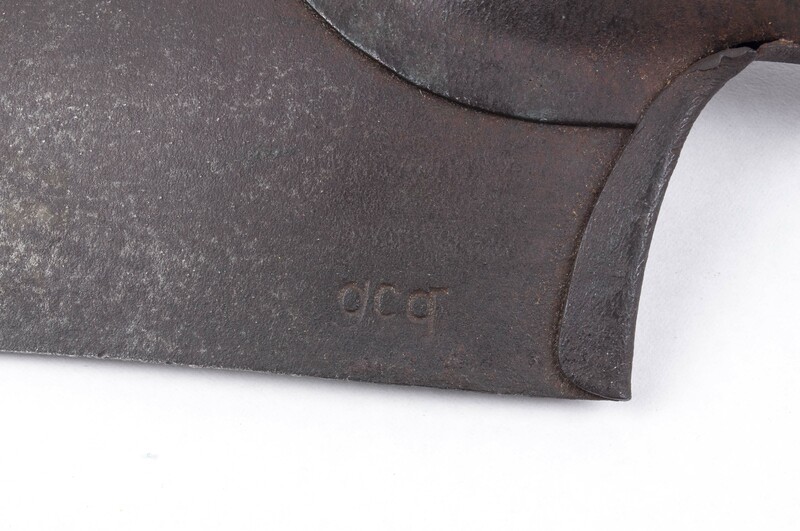 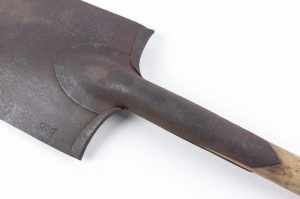 The straight handled shovel or Kleines Schanzzeug was the primary entrenching tool within the German army. 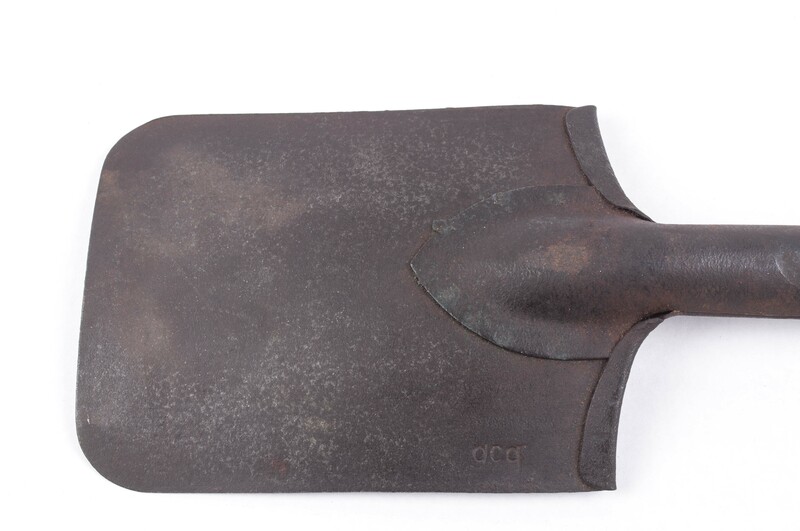 It was first introduced in the German army before the first world war after a Danish design by Mads Linnemann. 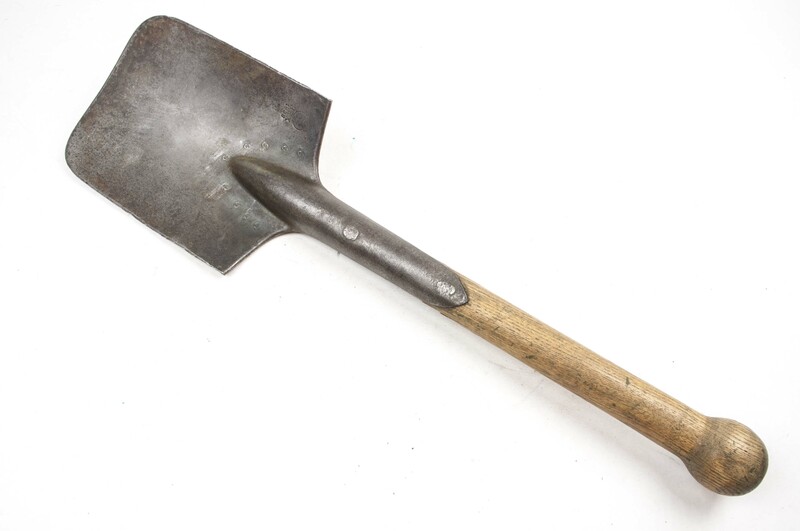 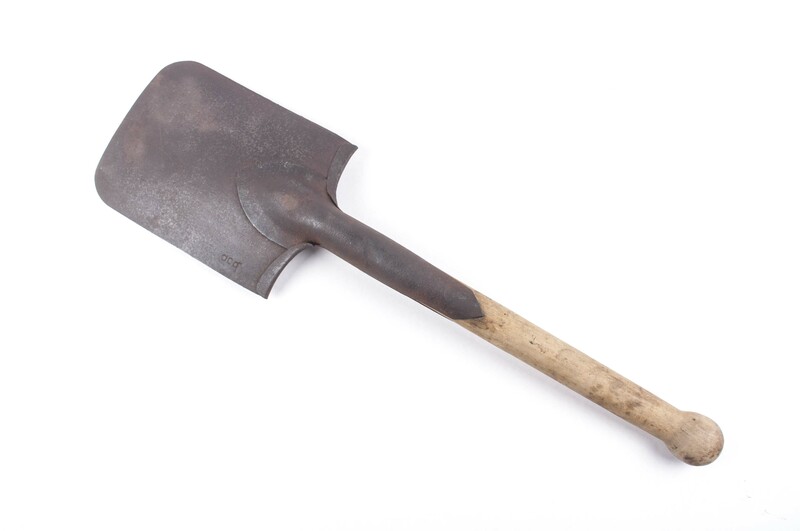 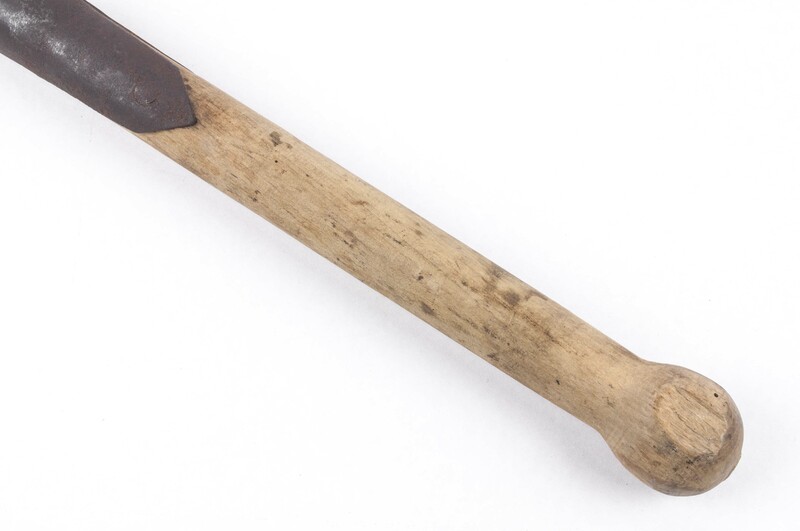 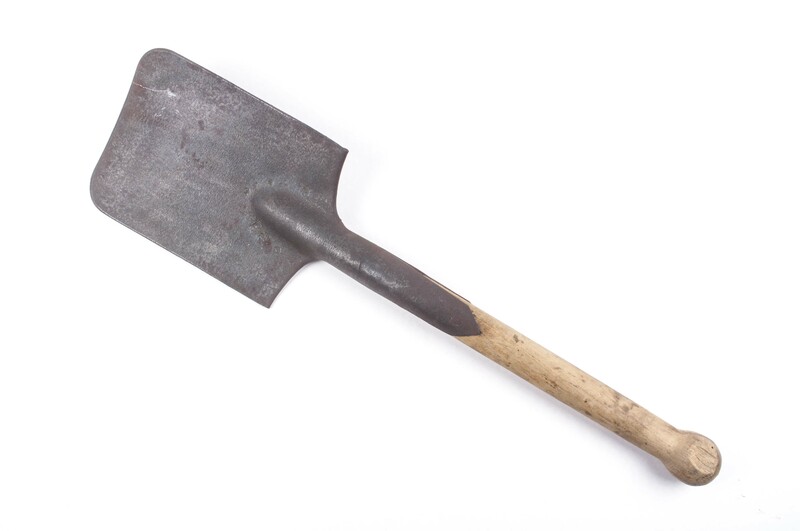 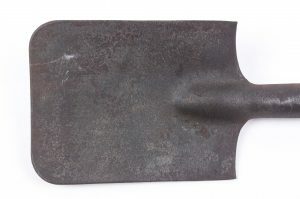 The Germans used several types of straight handled shovels during the war. 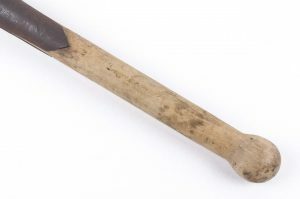 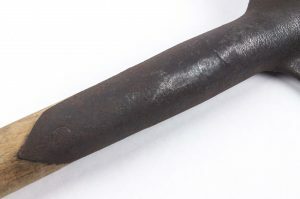 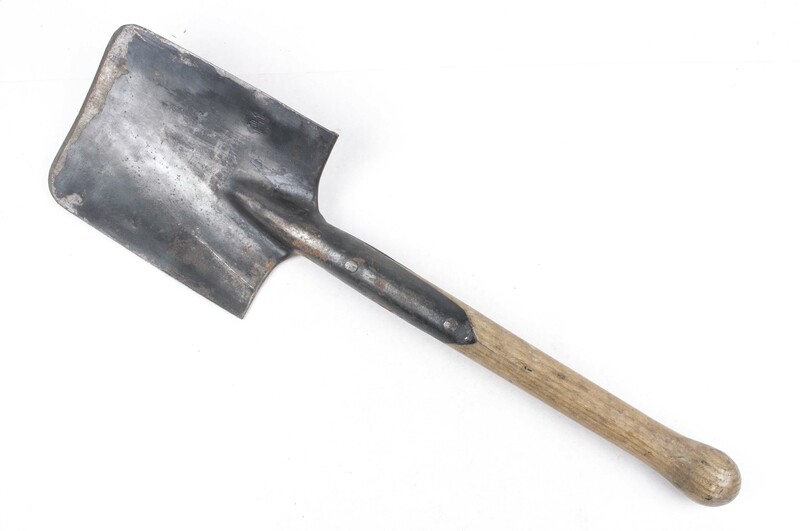 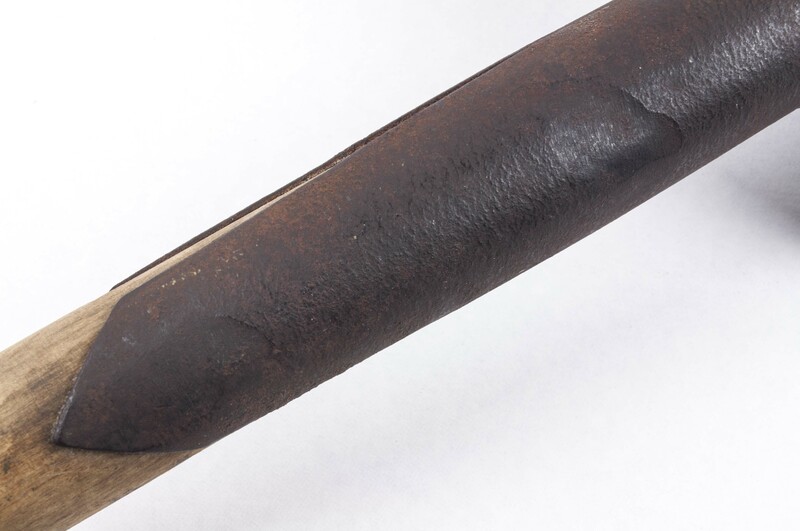 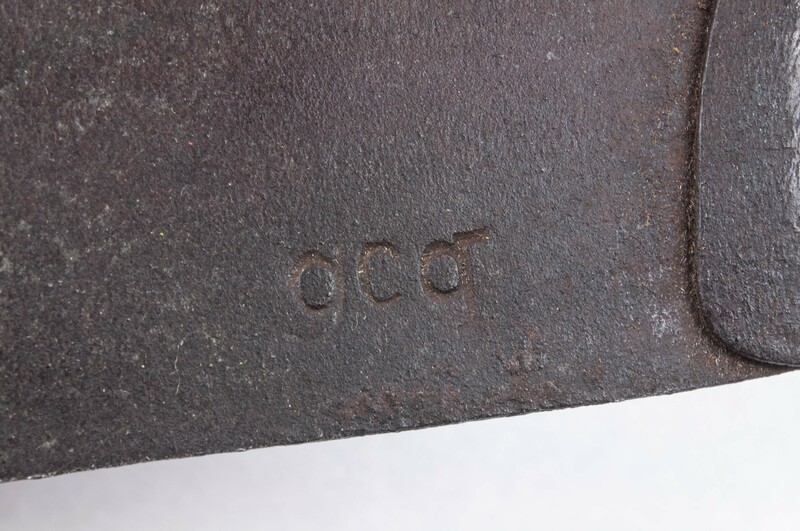 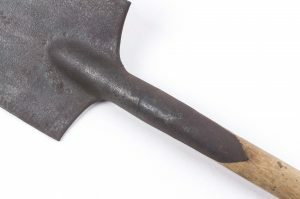 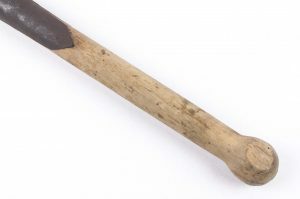 The most commonly seen type of straight handled shovel used by the Germans has a spot welded blade that has been folded at the top. Next to the use as a tool for digging, it could be used to hack wood and to some extent as a close combat weapon. 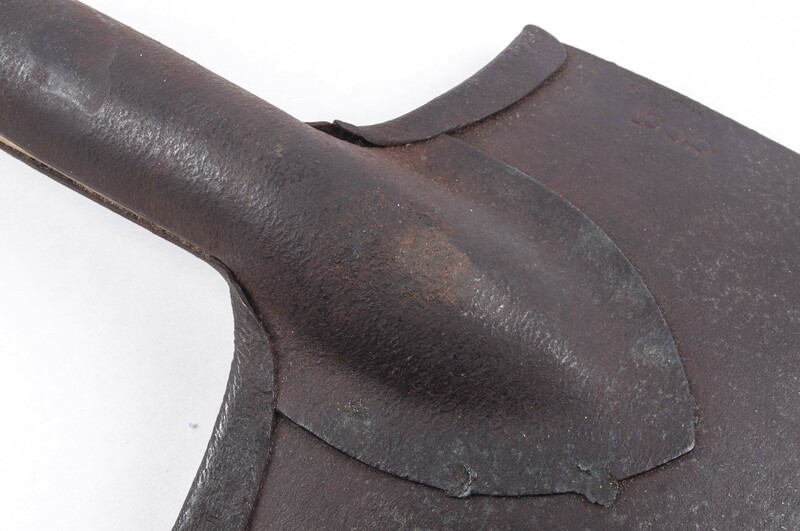 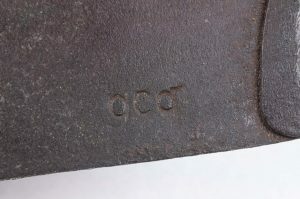 The cover was initially fully made out of leather. 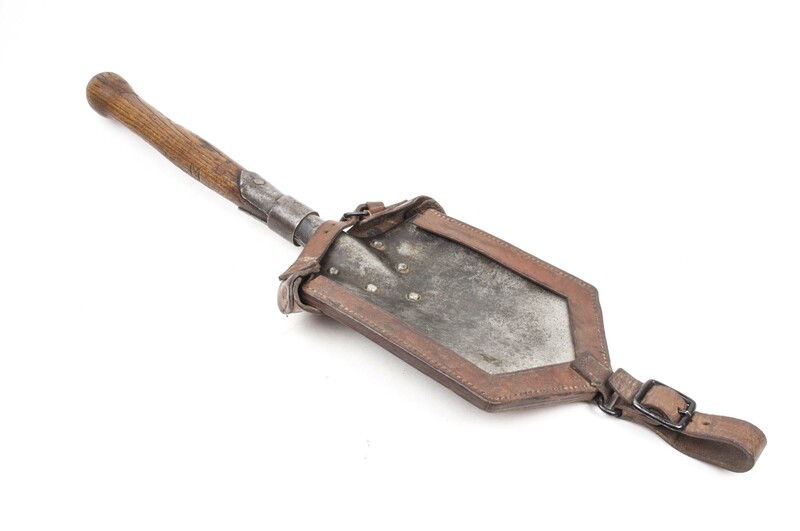 It consists of 2 carrying loops and a strap to tie down the handle. 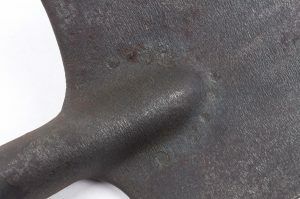 In the design of the strap a certain amount of extra length was accounted for so a bayonet could be tied to the handle of the E-tool. 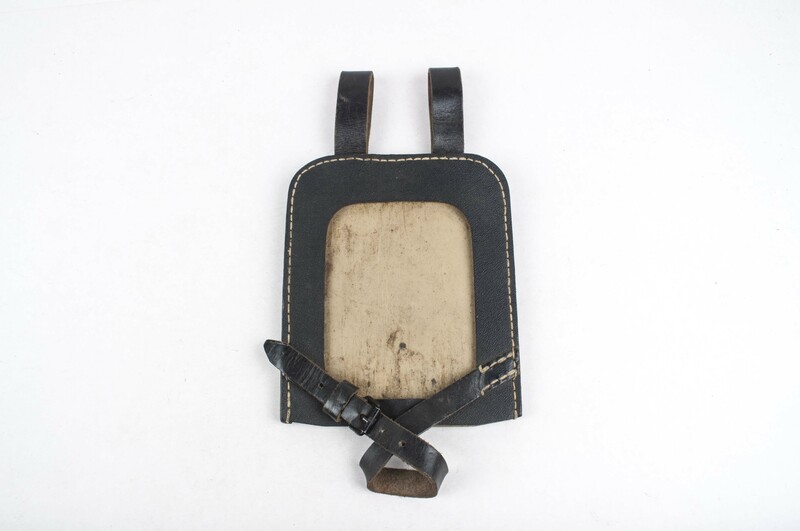 In 1943 the main material was changed from leather to Ersatzmaterial(artificial leather) completely. The covers came in a few variations in material, colour, construction, buckle and leather colour. 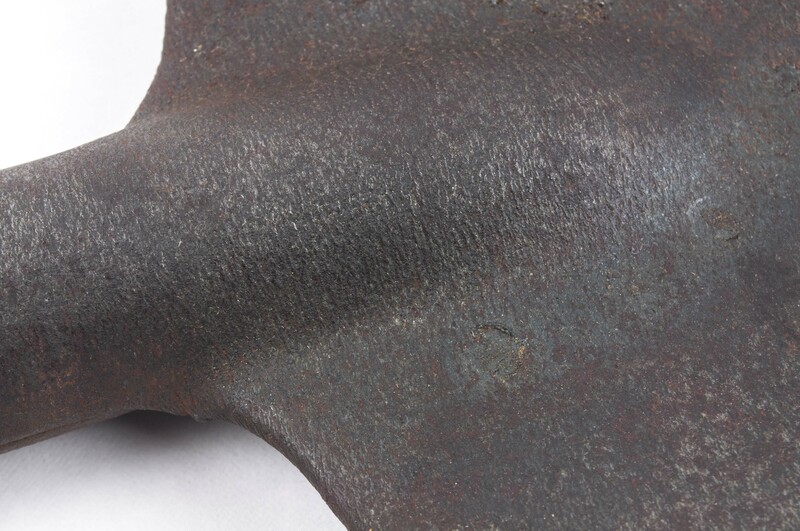 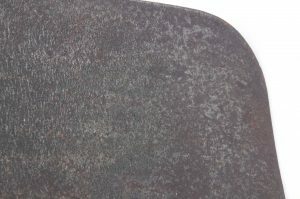 Notes: The blade of this shovel is really rough, it looks like its severely pitted due to rust but this is the actual finish of the metal.